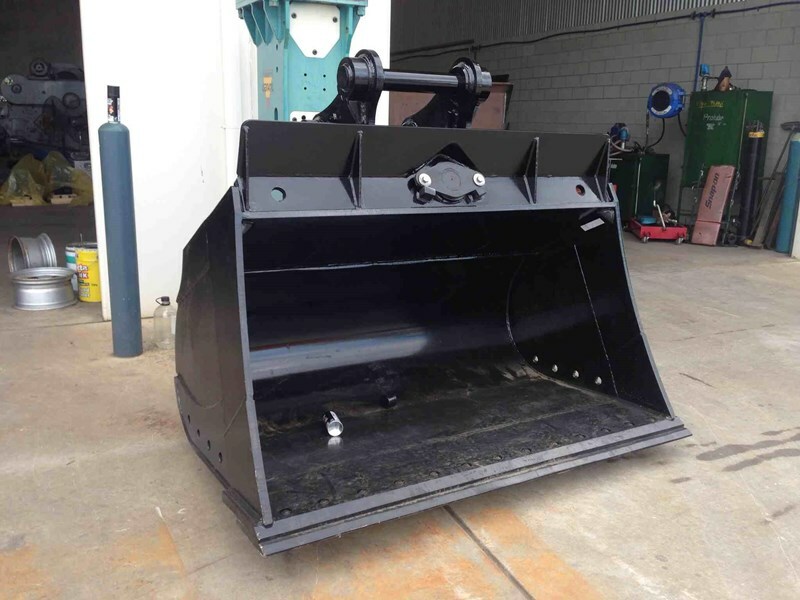 Brand New Tilting Mud Bucket to suit 13 tonne excacvator. Twin Hyd-Ram, Anti-Burst Valves, Bolt-On Edge, Heavy Duty Design. IN STOCK!